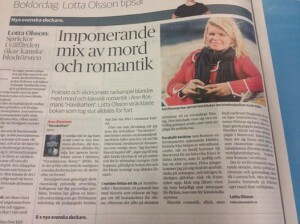 "Impressive mix of murder and romance"
Lotta Olsson on DN about catfish! This entry was posted in Writers Everyday - Ann Rosman of Sophie . Bookmark the permalink .